The Rockies and Plains are bracing for another bomb cyclone Wednesday. Colorado, South Dakota, Nebraska and Minnesota are all under blizzard warnings. 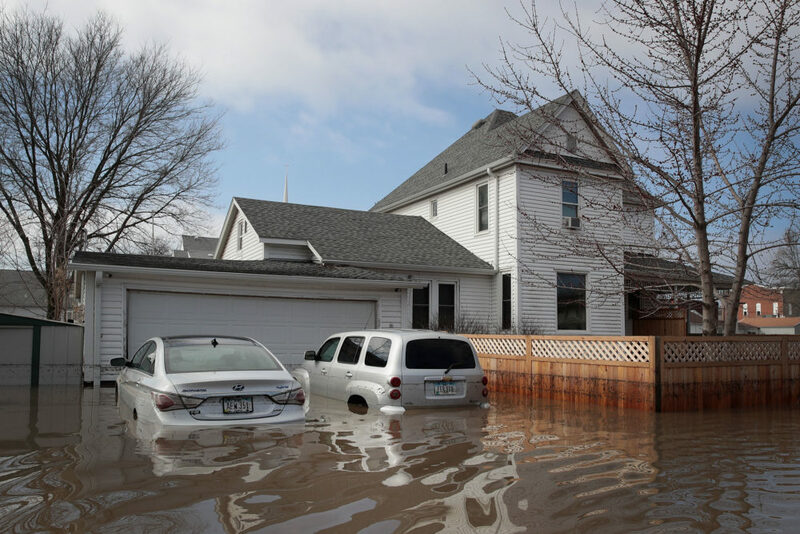 And in Iowa, where many communities are still recovering after last month's massive floods, there are concerns about what will happen when all the fresh snow melts. "We want our future — with our businesses back and our people home," Cathy Crain, who has been the mayor of Hamburg, Iowa, for 12 years, tells Here & Now's Robin Young. 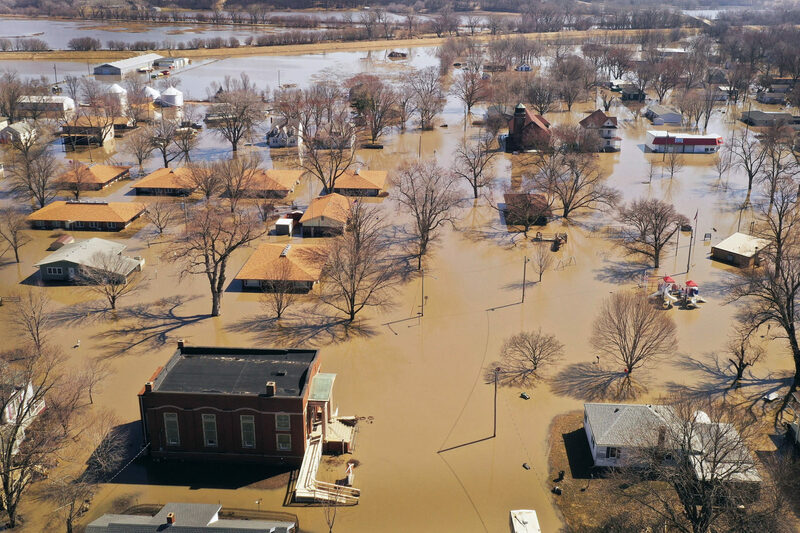 Crain says two-thirds of Hamburg was underwater when the bomb cyclone hit in March, causing flood waters to overflow the levee that protects the town from the Missouri River. 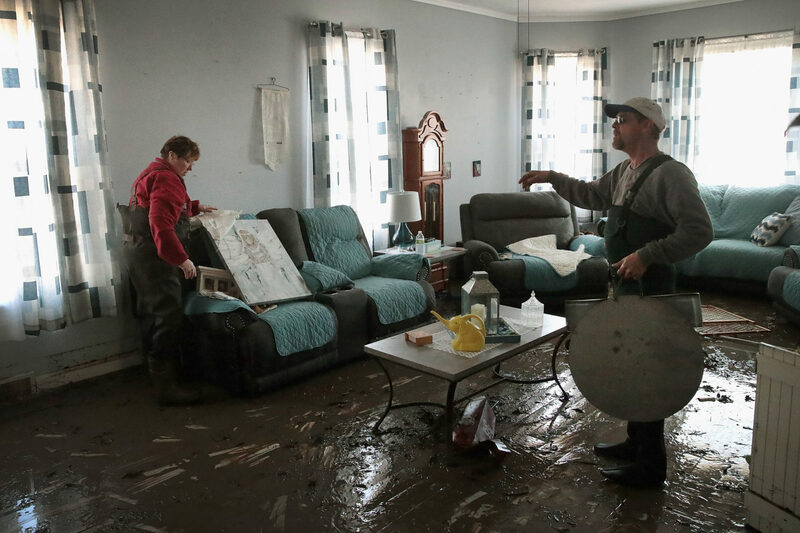 Half the town is still submerged from the flooding, she says. "We're going to continue to do everything we can and we need the government to do what we can't do. But if you could see these people, what they're doing to try to put this town back together, they're worth it," she says. 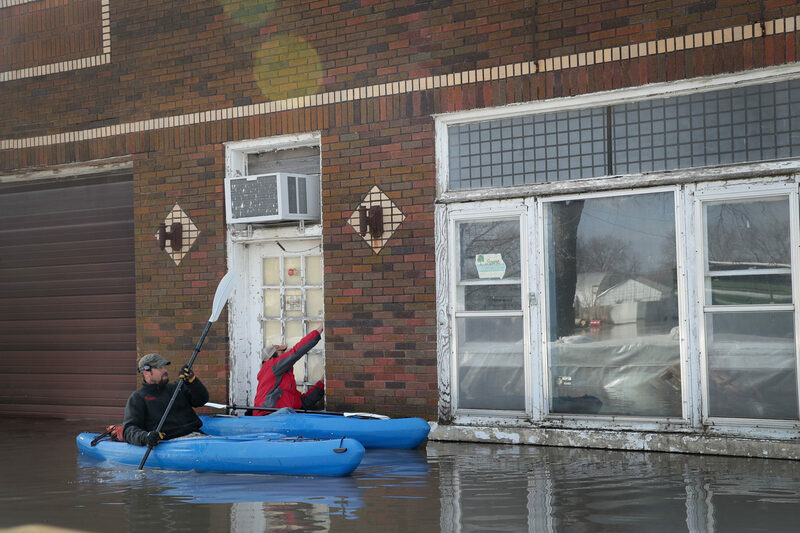 In 2011, the small town managed to avoid flooding from the Missouri River by adding to the top of the levee. But federal officials ordered it removed shortly after. She says the federal levee certification law wouldn't let the town keep the makeshift addition. 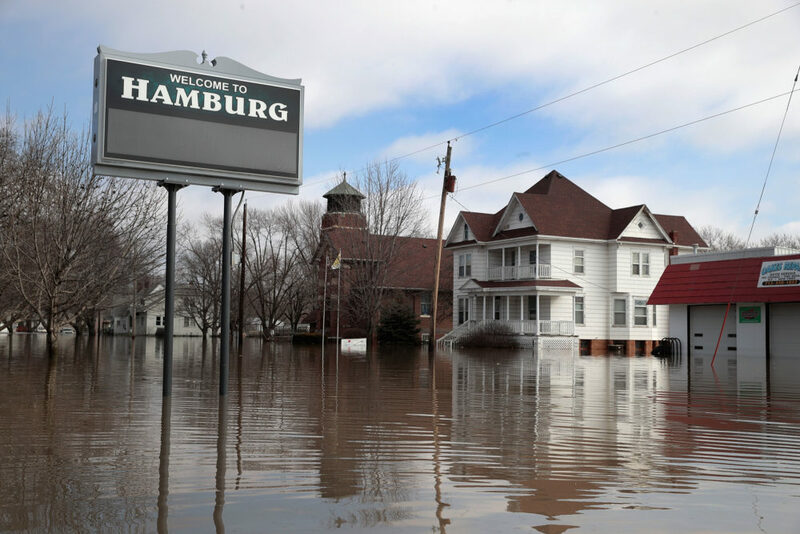 Crain says federal officials told her that Hamburg would have to tear it down and rebuild it for $5 million — no small feat for a town that is home to only about 1,100 people. Locals decided made a music video about saving the levee to show how crucial the structure is to the town. Crain says she is determined to get the funds to rebuild. "We are going to build the levee. We're going to get the money," she says. "We don't have a place to eat. We don't have a place to get coffee. We don't have gas. We don't have — I mean, there's nothing. There's nothing," Crain says. "But we are putting together. We are not laying down and they [federal officials] are not going to get away with this."